Campbell's Cottage: What do you think about a wind farm at Blaenau? 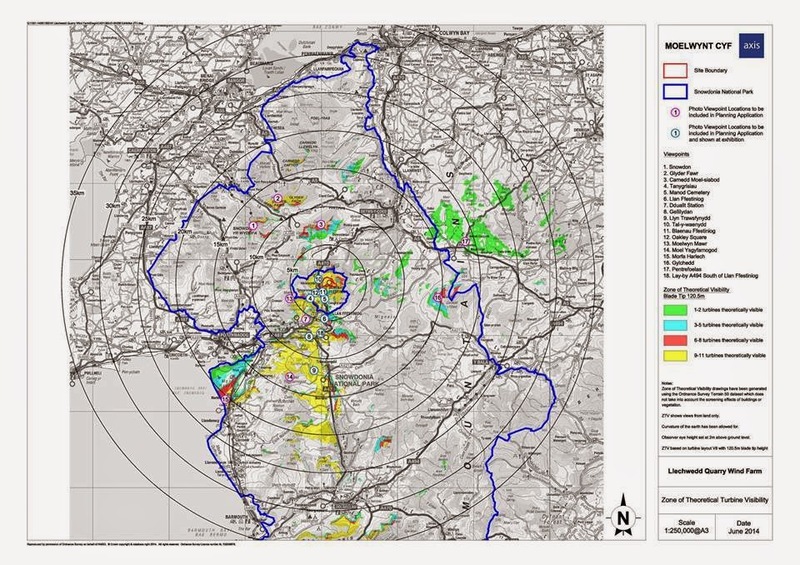 What do you think about a wind farm at Blaenau? 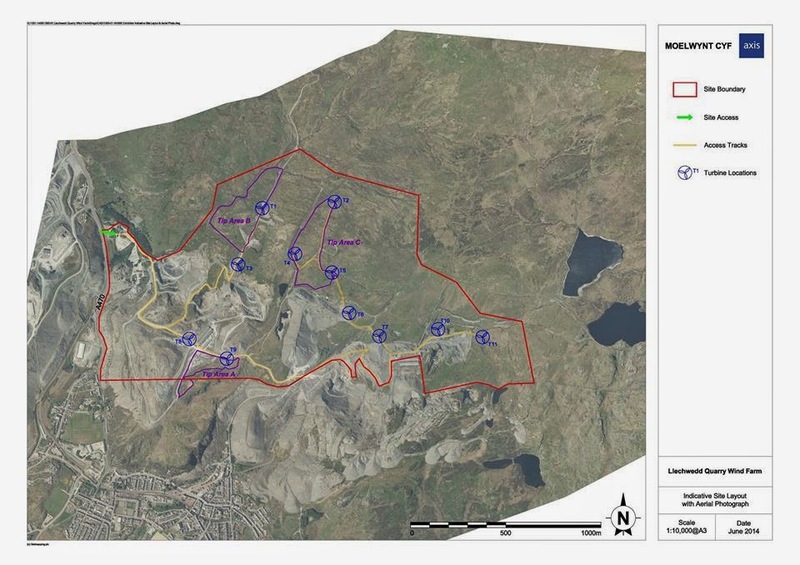 There is a Facebook site run by the joint venture company, Moelwynt Cyf, which is proposing the development and the joint venture partners are J W Greaves (owners of Llechwedd) and Tegni (wind farm people). A public consultation is currently taking place and we attended the first of two engagement days on 12th June. The planning application is likely to be submitted this autumn for potential approval in April 2015 and construction starting autumn 2015. At the consultation we saw illustrated photos which plotted the views of the turbines from 18 locations including the summits of Snowdon, the Glyderau, Carneddau and Cadair Idris. The nearest view from Campbell’s Cottage is at the railway loop at Dduallt where from memory I think 8 or 9 of the turbines will be visible, some of which will break the horizon. The turbines will be clearly visible from Moelwyn Bach and most prominent on the main road before Tanygrisiau as you drive towards Blaenau. On the one hand we need more renewable energy and local employment and the developers are offering £100,000 a year to the Blaenau community. On the other hand the landscape and the stunning views are important to some people. We are undecided on this and genuinely want to know what you think? Please drop us an email or add your feedback or comment to this blogpost, whichever is the most convenient. In particular we would like to know whether this development might cause you to choose another destination outside of Snowdonia. P.S. How big is 120m? 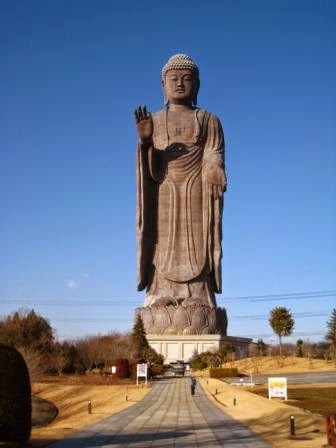 I typed it into Google and the world's 3rd tallest sculpture is 120m tall and this is what it looks like .... with high voltage power lines in the background. Hi there, thanks for the news, a zipwire, bike ride or walk against a nearby backdrop of wind turbines is going to severely limit Blaenau's ability to sell itself as an adventure destination if rather than enhancing the natural environment we further industrialise it. I really rather think turbines should be off-shore and pretty much out of sight.